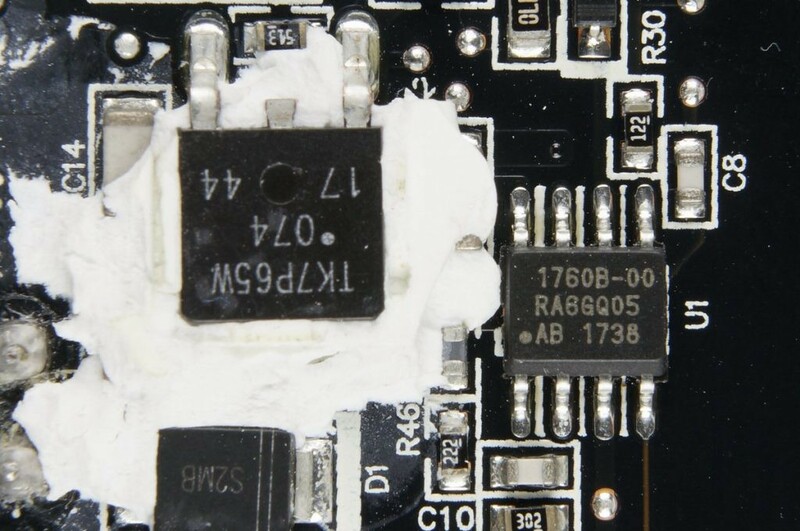 Dismantling the Xiaomi Mi 6 USB Port Fast Charger - 网友心声 - 充电头网论坛 - Powered by Discuz! 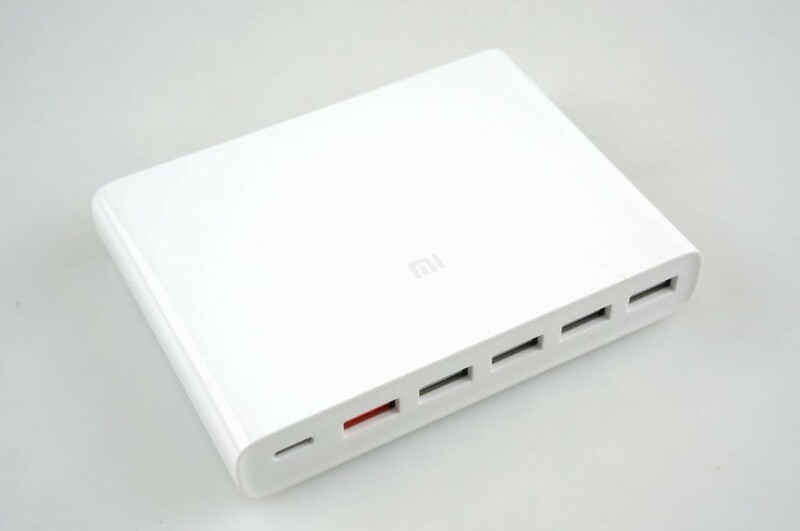 As early as the summer of 2016, Xiaomi launched an innovative multiport USB charger called the Chingmi charging station. 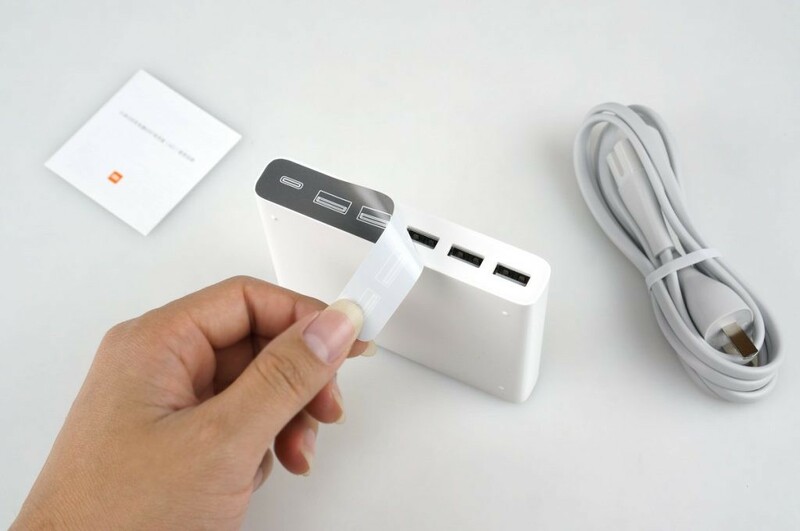 The charger has 5 QC2.0 outlets, but their most unique feature is their 2-in-1 line so both the USB ports can deliver 20V power output to the notebook. 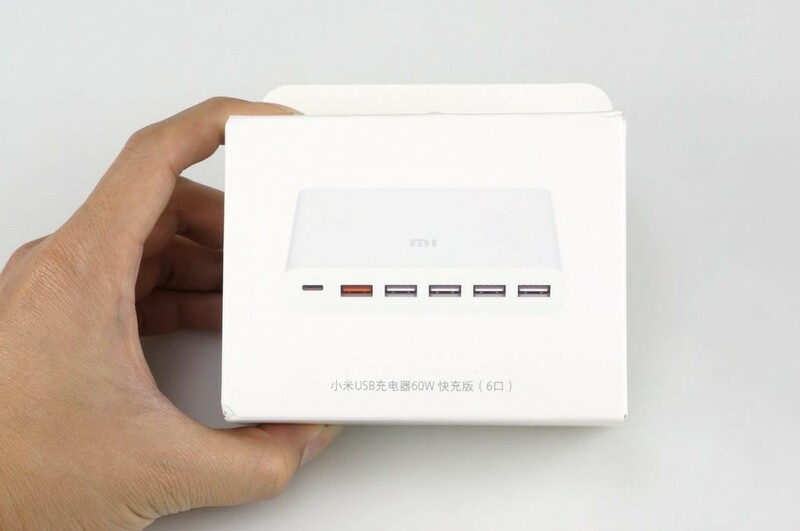 Recently in 2018, Xiaomi has yet again launched another 6 port fast charger. 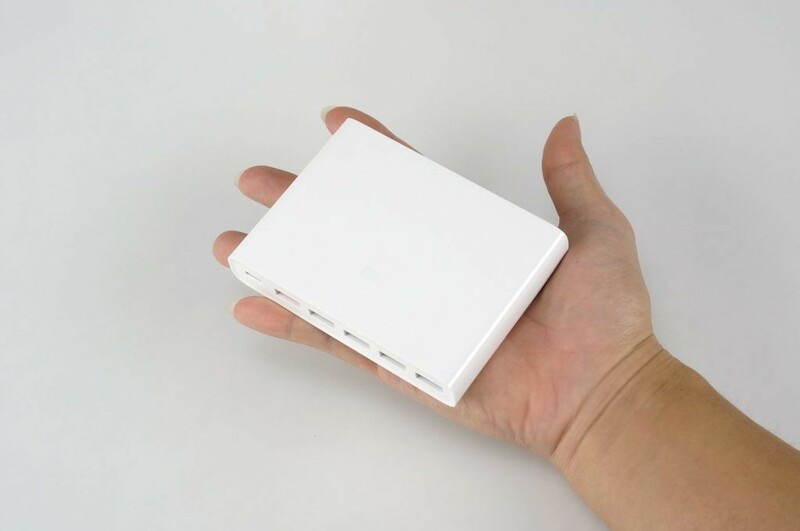 The new version has four 5V2.4A smart outlets and built with the latest USB-C PD. We are going to tear it apart and take a look at the internal structure today. 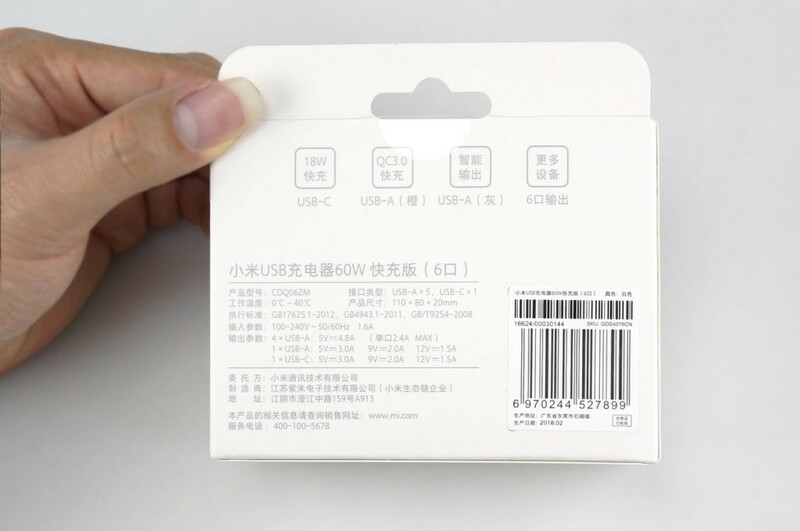 Xiaomi USB charger comes in a simple packaging with the logo printed on the front. 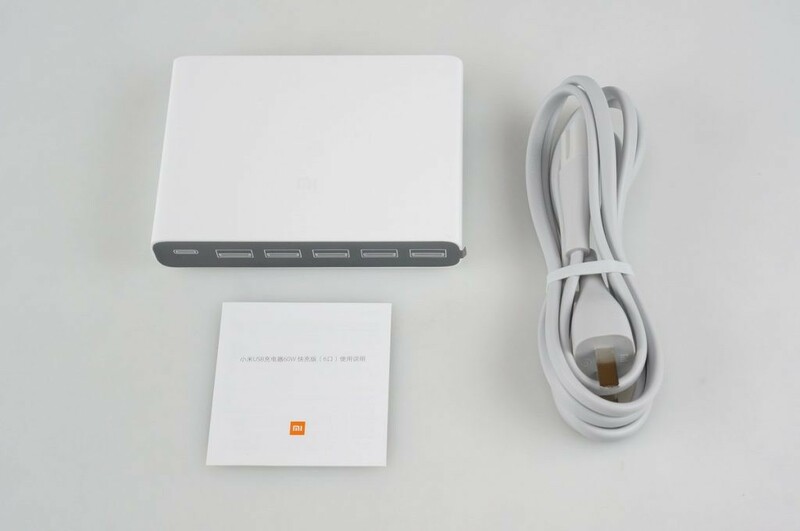 Product name: Xiaomi USB charger 60W fast charge version (6 ports). 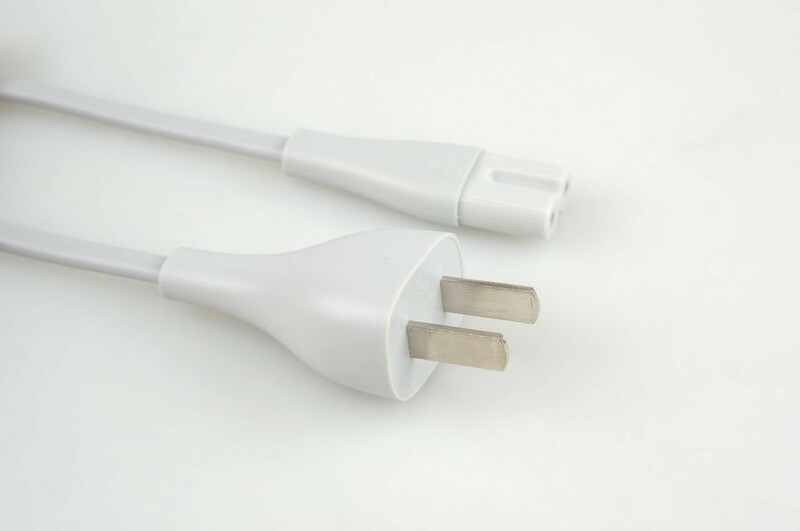 Model: CDQ06ZM, interface type: USB-A x 5, USB-C x 1, working temperature: 0°C~40 °C. 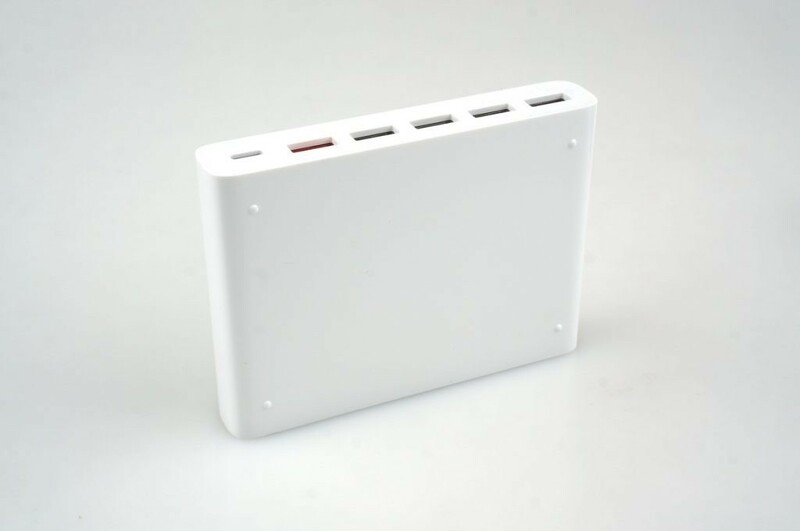 Dimension: 110 x 80 x 20mm, input parameters: 100-240V~50/60Hz 1.6A, output parameters: 4 x USB-A: 5V4.8A (single port 2.4A MAX), 1 x USB-A: 5V3.0V 9V2.0A 12V1.5A, 1 x USB-C: 5V3.0A 9V2.0A 12V1.5A, Consigner: Xiaomi Communication Technology Co., Ltd., Manufacturer: Jiangsu ZiMi Electronic Technology Co., Ltd. (Zimi Ecological Chain Enterprise ). The package comes with a charge, manual, and charge cable. 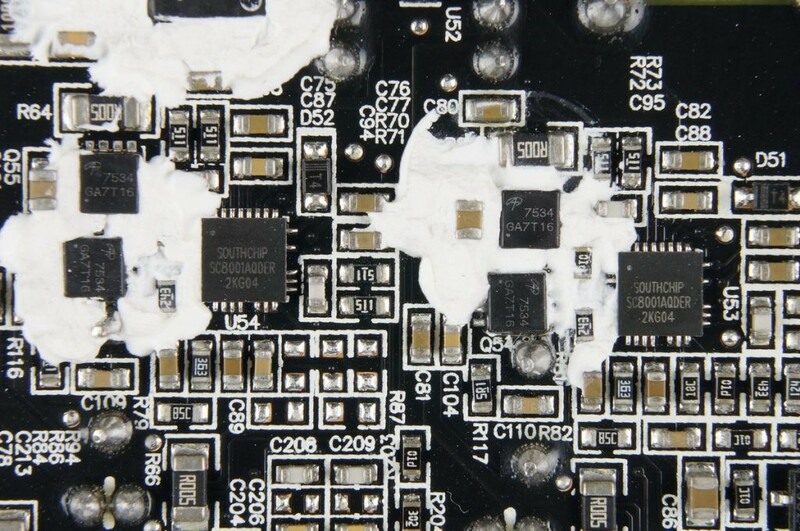 We peeled off a piece of dust-proof adhesive tape used to protect the ports. The charger is slightly smaller than the palm of a hand. All the output ports are placed on one side of the charger. 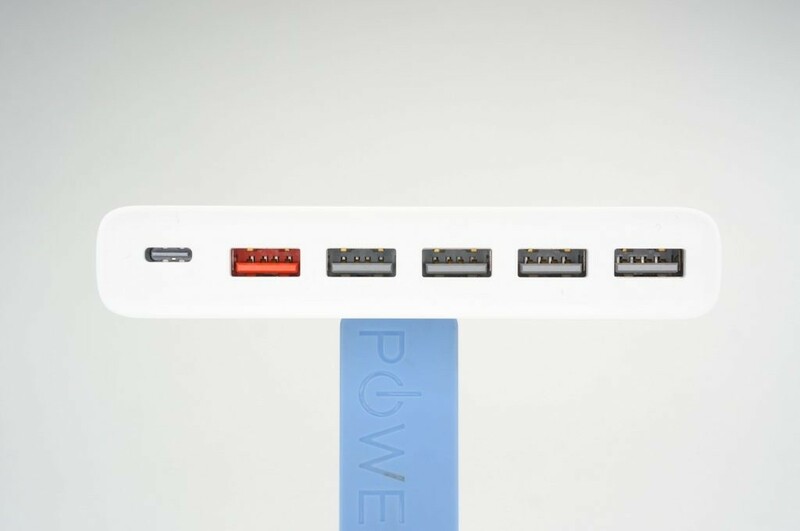 Order from the left to the right: the USB-C PD output port, a red USB-A QC fast-charging output ports, and four 5V 2.4A output ports. The charge shell is smooth with the “MI” logo is printed on it. There is a white LED light below the “MI” Logo to indicate that the power is on. There are four feet on the base of the charger to prevent overheating as well as wear and tear. 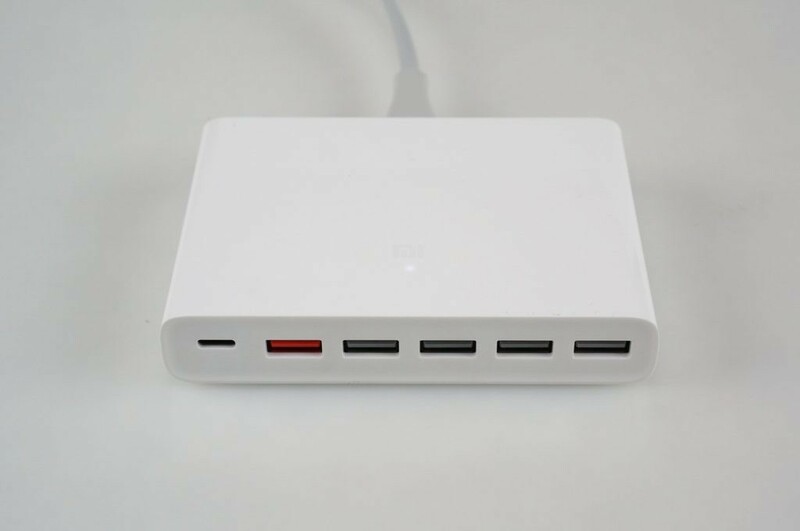 Brand Name: Xiaomi USB charger 60W Fast filling version (6 ports), Model: CDQ06ZM, Input: 100-240v~50/60hz 1.6A, output: Four (Gray usb-a): 5v4.8a (Port 2.4A MAX), single-port ( Orange usb-a): 5v3.0a/9v2.0a/12v1.5a; single-port (Gray usb-c): 5v3.0a/9v2.0a/12v1.5a, Manufacturers: Jiangsu Zimi Electronic Technology Co., Ltd., production plant: Dongguan Yingjucn Power Supply Co. The charging cable that comes with the charger features a water drop logo. 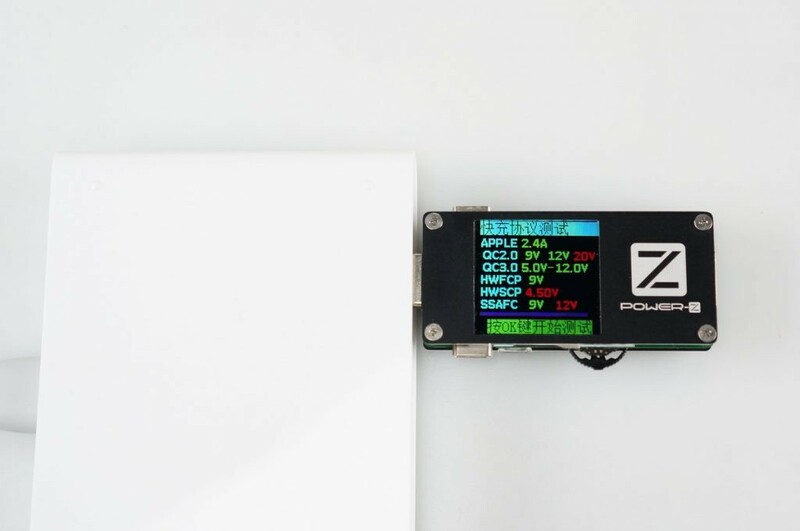 We used the POWER-Z FL001 to test the 5V port protocol and found that the 5V output port supports the Apple 2.4A protocol. 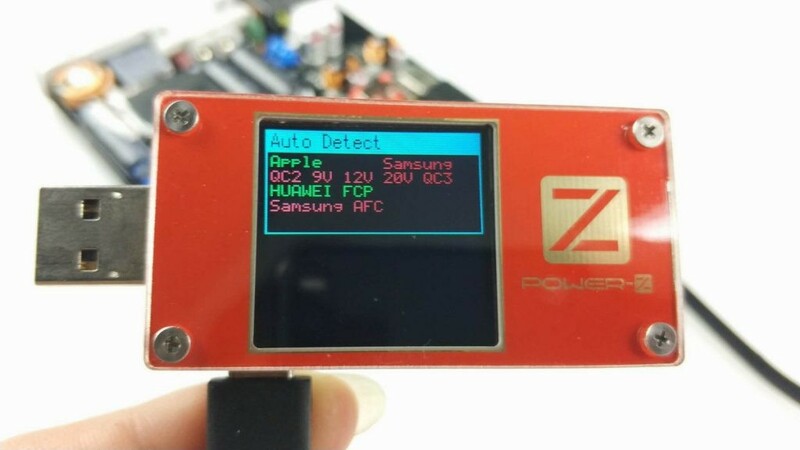 We used the POWER-Z FL001 to test the QC fast charge port protocol. 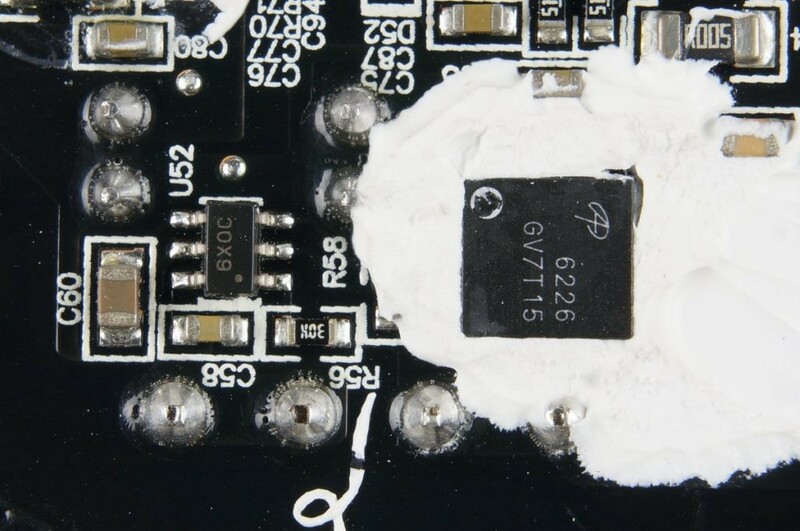 According to our results, the fast charge port supports Apple 2.4A, Qualcomm QC2.0 9V 12V, Qualcomm QC3.0, Huawei FCP, and Samsung AFC. 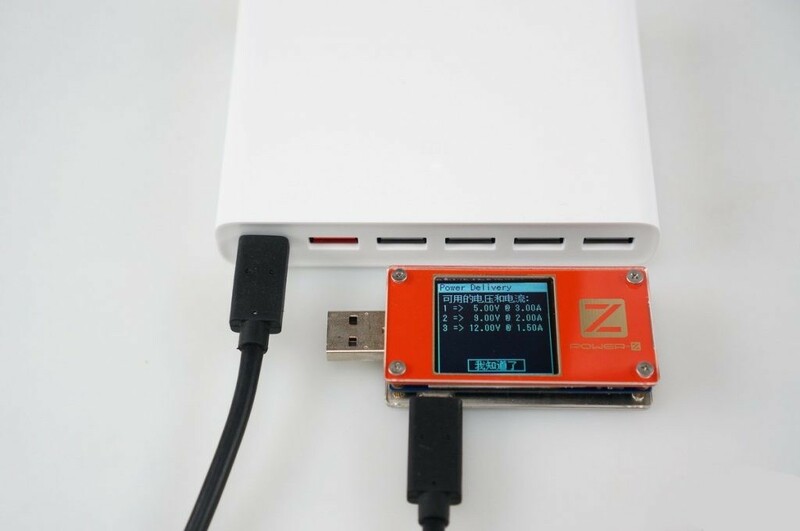 We used the POWER-Z FL001 to test the USB-C port protocol. The USB-C port supports Qualcomm QC2.0 9V 12V, Qualcomm QC3.0, and Huawei FCP. 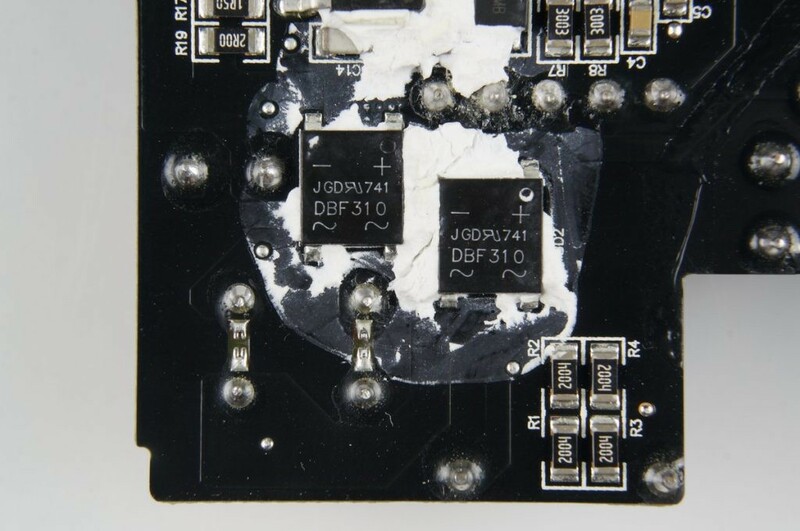 It is worth noting that during our first attempt, the charger didn’t support Apple protocols. However, after we unplug the cable and plug it again, it worked. 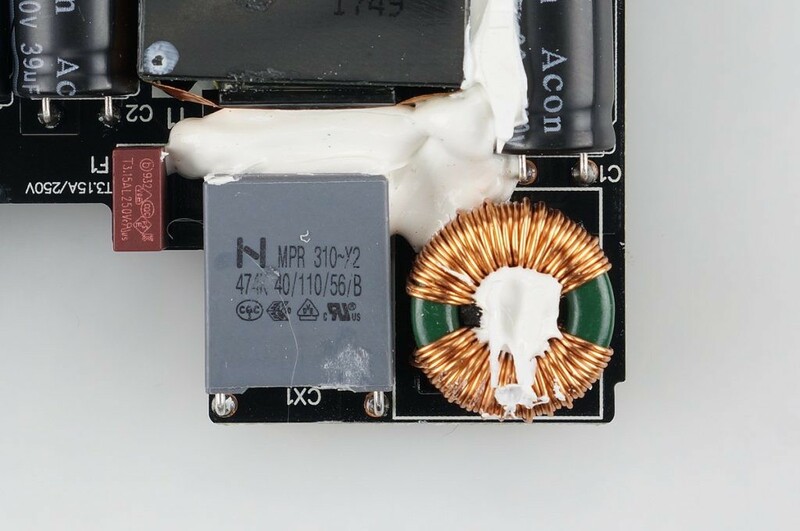 We tried charging our iPad and we got an output voltage of 5.12V 2.33A 11.98W, which is in the Apple 2.4A protocol. However, we needed to unplug the cable for a couple times for the charger to work. 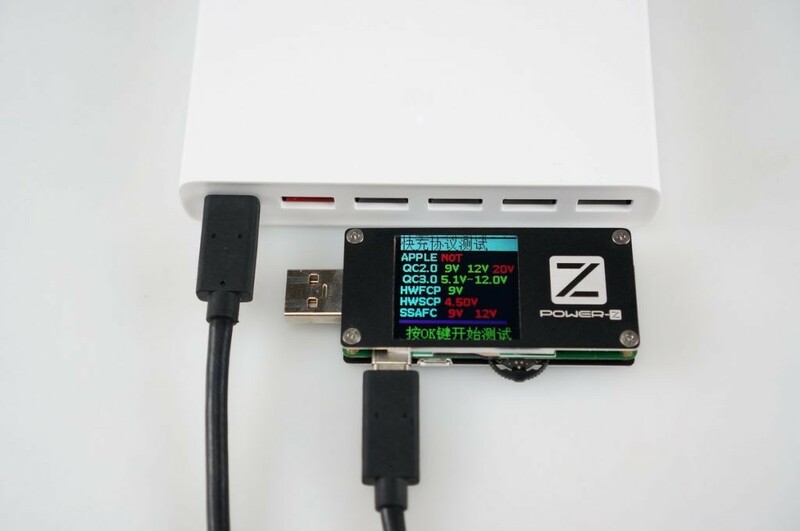 We used the POWER-Z FL001 to test the USB-C PD protocol. 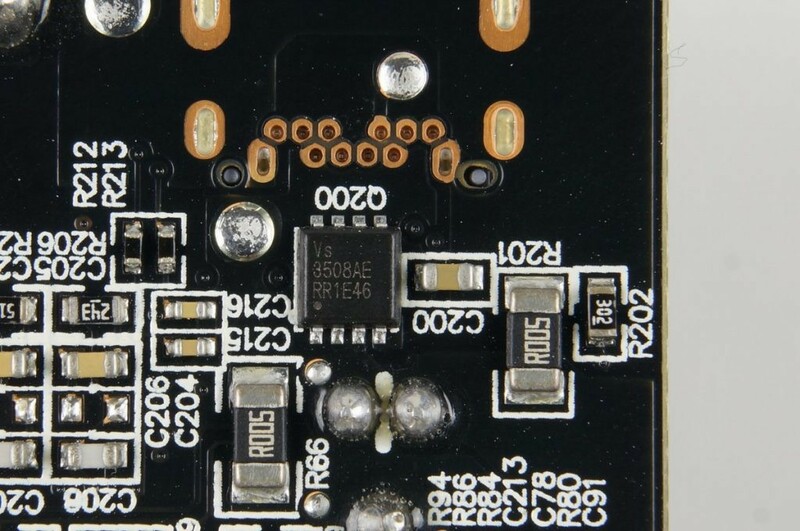 There are 3 PDO and they are 5V3A, 9V2A, and 12V1.5A, respectively. 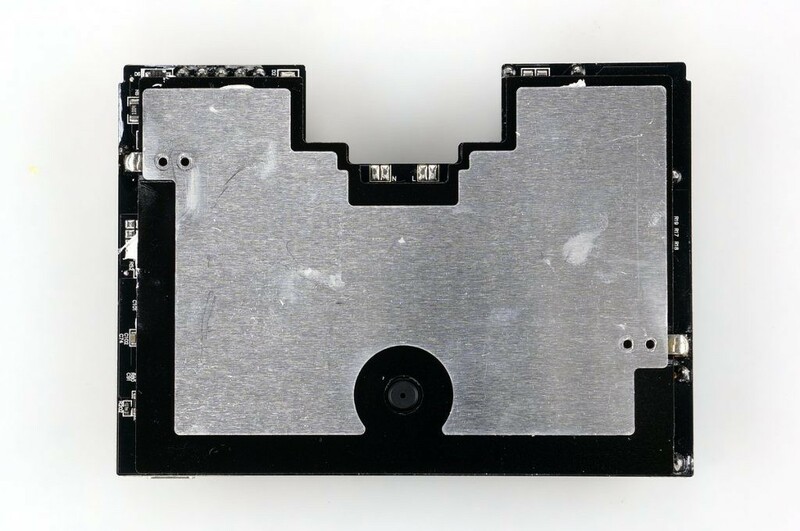 To open the shell, we used ultrasonic welding as well as a tool to open the shell from the edge. 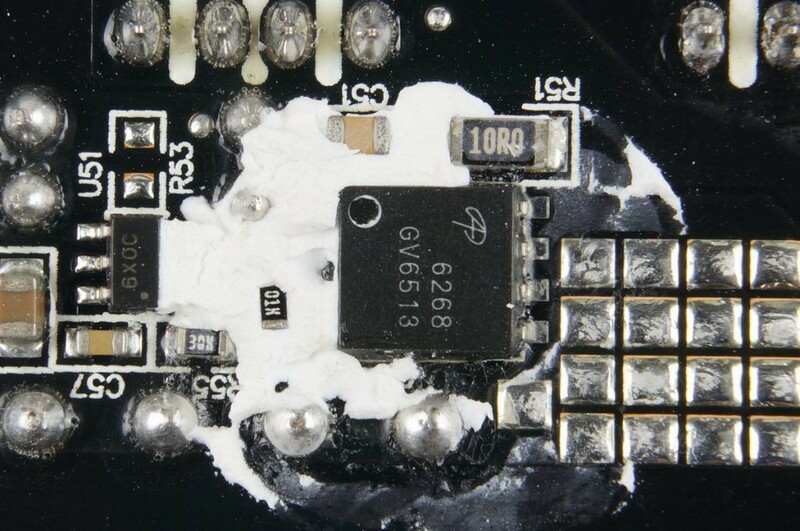 Top view of the PCB pin. 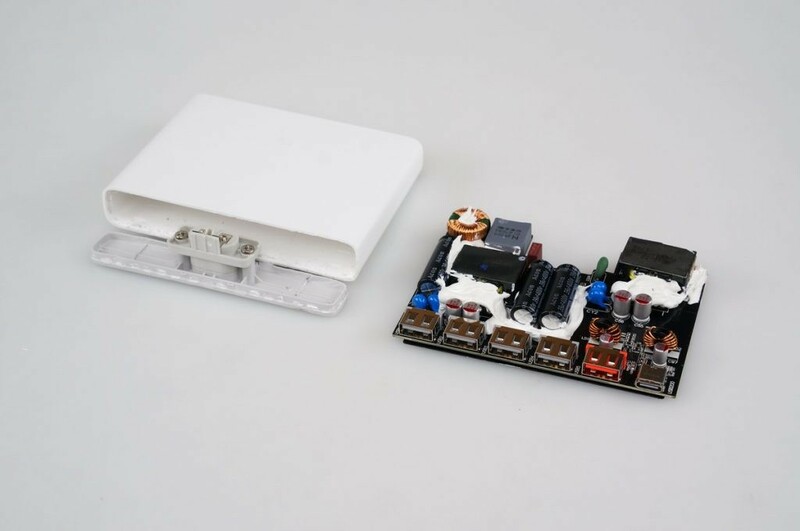 The high-voltage input part, fuse, X capacitor, filter inductor, and a green NTC transient voltage surge suppressor. 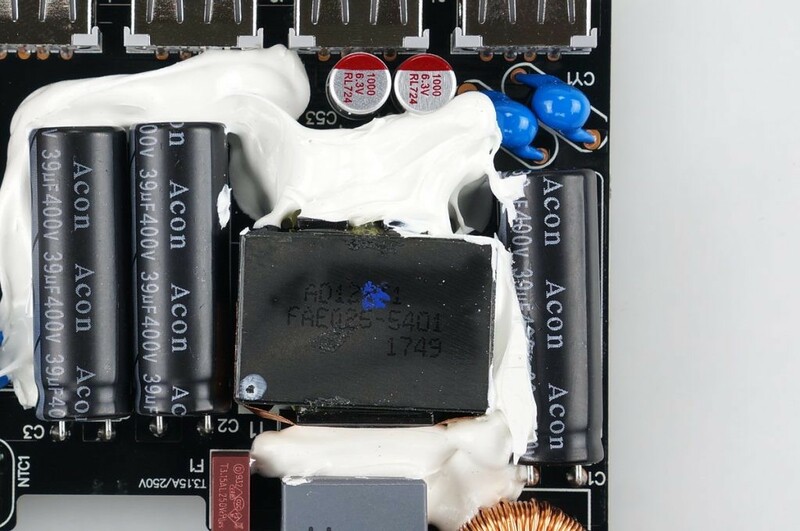 Three ACON 400V39μF filter capacitors and a transformer that delivers 5V2.4A power to the four output ports. 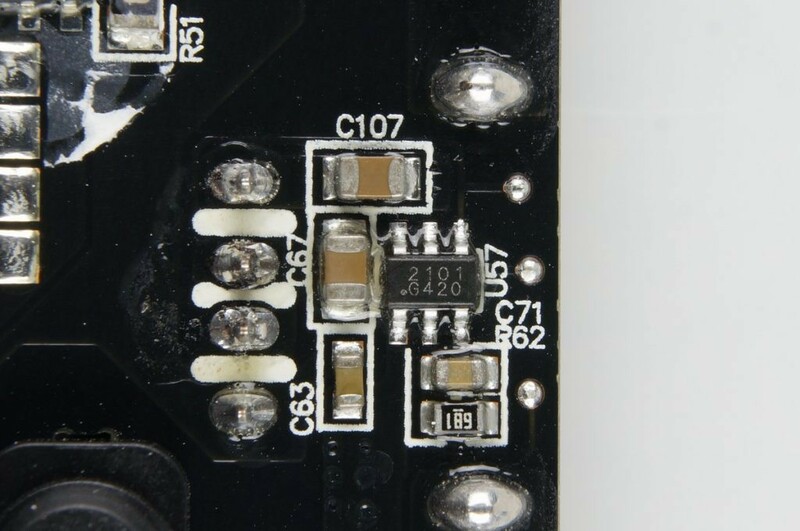 There are two 6.3V1000μF solid-state filters next to the USD ports along with two Y capacitors. 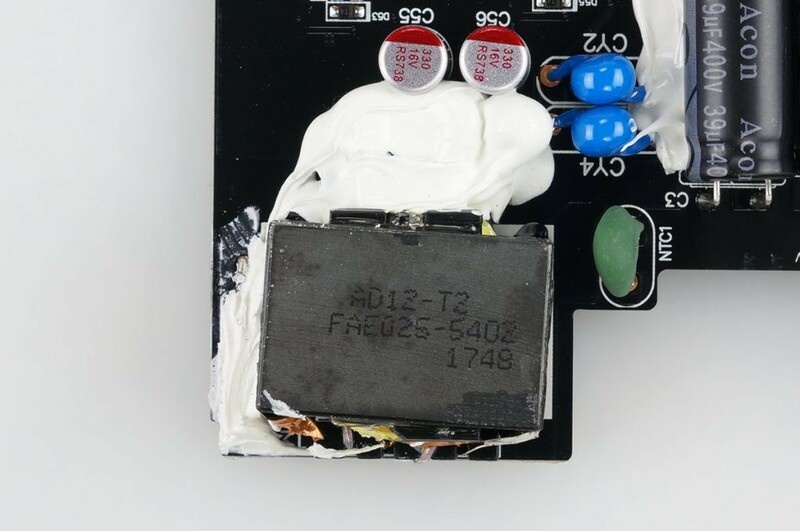 This transformer is used for QC fast charge port and USB-C port output, and there is a green NTC inrush-current limiter to extend the life of the charger, and two 16V 330μF solid-state filters, and two Y capacitive touch sensors. 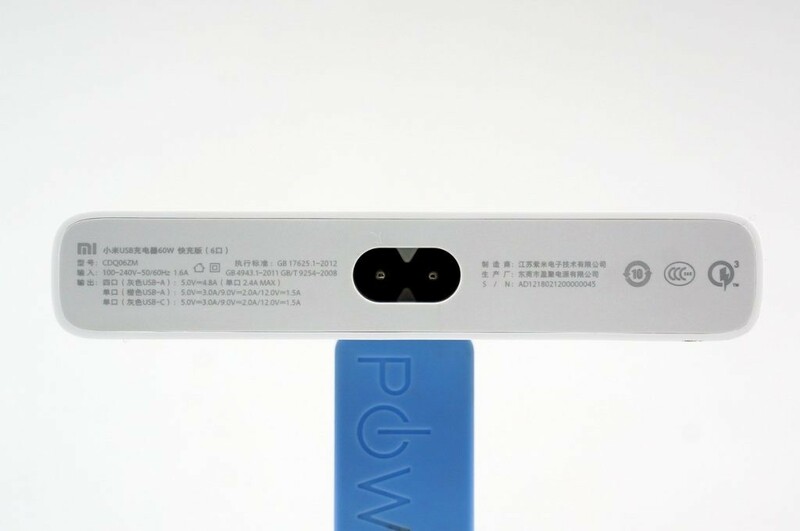 The USB-C and orange fast charger port, Ziyin WT6615F, Type-C output. Two rectifier bridges with capacitors to convert the AC rectifier DC. 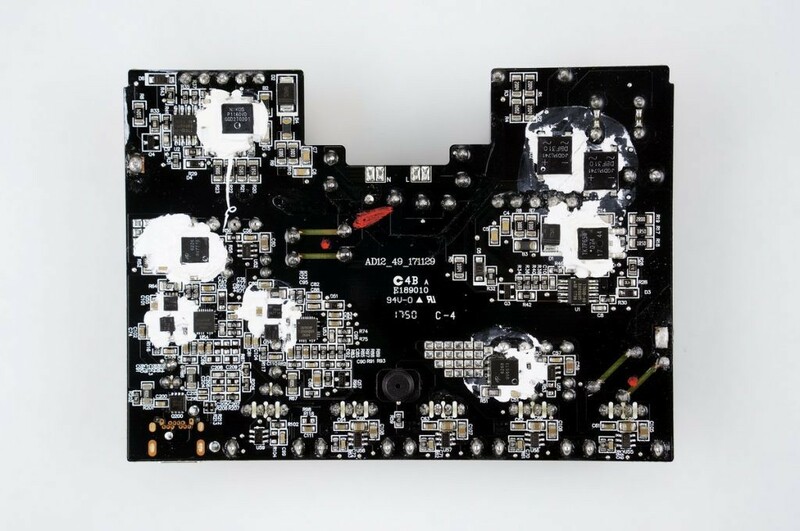 The primary circuit for 5V output, tk7p65w, and iw1760b. 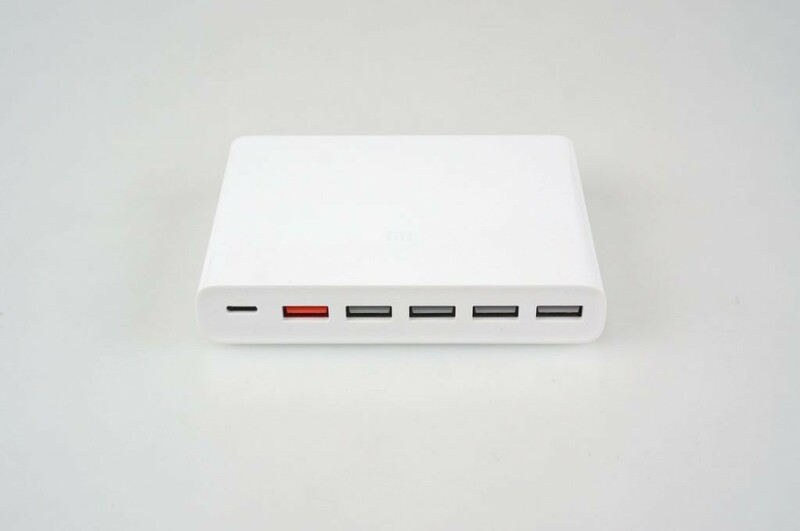 Xiaomi’s 6-Port USB fast charging is equipped with 60W of power. 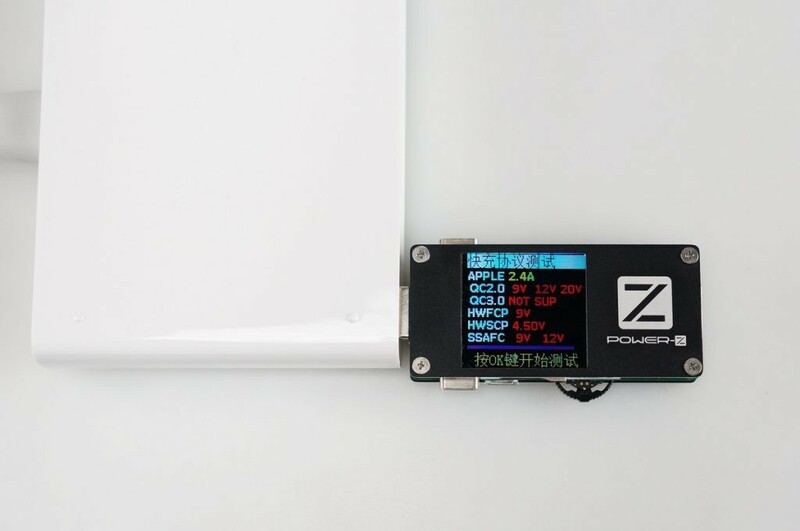 It features a newly added USB-C output with the capability to support PD, QC3.0, FCP, and Apple 2.4 protocols. Compared to their previous version, the latest version has really improved and much more functional. 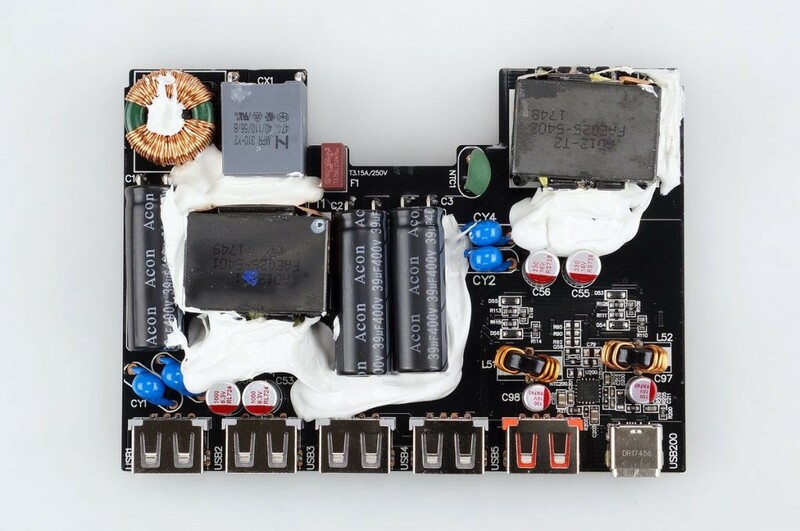 The 5V large current output and fast charging design can effectively reduce the high power output and heat accumulation. 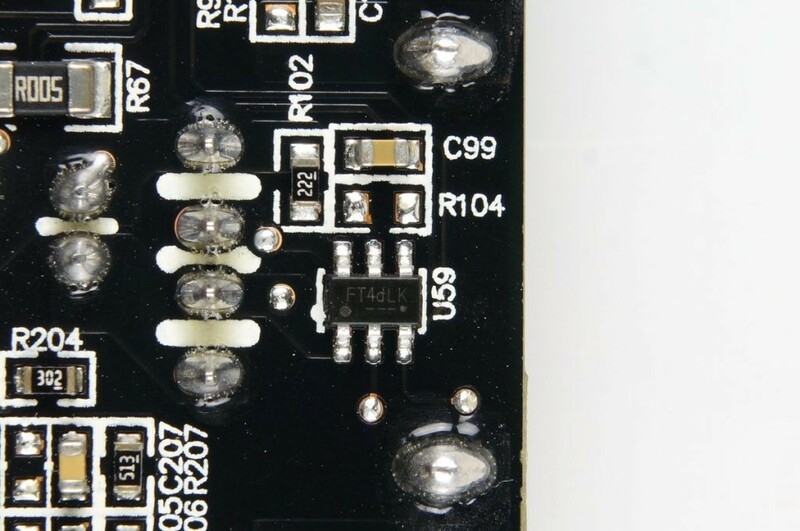 The fast charging port uses a synchronous rectifier to reduce and fixate the voltage output. 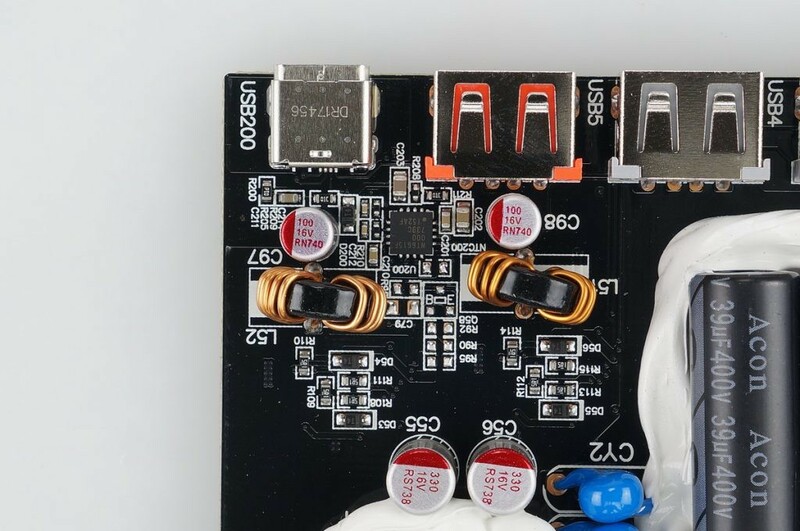 The switched-mode power supply with the synchronous rectification output allow the charger to deliver a pretty reliable performance. 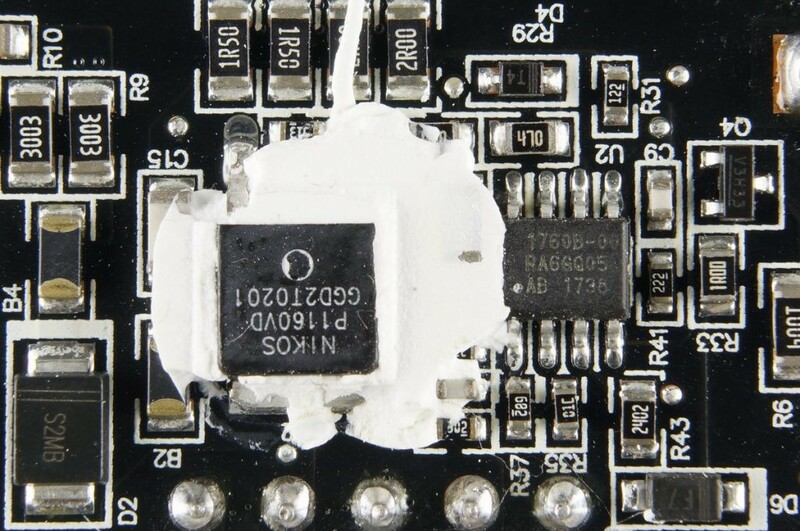 Meanwhile, this is the first time for us to see a Chinese brand using a chip by South Chip, which represents the rise of a domestic autonomy.